'Treasure' is a word that stirs the imaginations of children and adults of all ages: dazzling visions of gold, silver, jewels and other precious objects. 'Treasure!' the new exhibit at the Northwest Museum of Arts & Culture, now until May 15, explores the history of treasure and treasure hunting. It also examines the technology used to look for it, both old and new, and the people obsessed with finding it. Starting in late February, visitors to the museum will be able to see some local treasures on display, loaned by Spokane residents who are graciously sharing important family memorabilia and memories with our community. Mojo Box plays at Boomers Classic Rock Bar and Grill, 18219 E Appleway in Greenacres for one night only, this Friday, February 12 at 8:30. 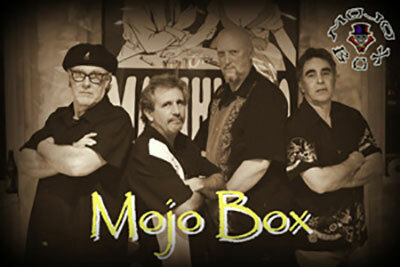 Mojo Box is a 'voodoo rock' band playing fun rock and roll, featuring cover songs of groups like Tragically Hip, Southern Culture on the Skids, Kingbees, some good ol' Oldies too, as well as Mojo Box originals. The band members are Tom Lucas, Guitar, Dale Nunn, Guitar, Randy Campbell, Bass and Kosta Panidis, Drums. Their regular performances in the Spokane area include The Max at Mirabeau Park Hotel, Boomers Classic Rock Bar & Grill, Daley's Cheap Shots. Mojo Box is also great for private parties and functions. You can learn more on Facebook. 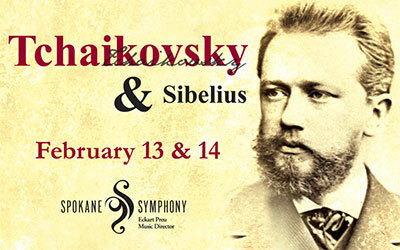 The Spokane Symphony performs musical masterpieces inspired by literary giant Dante under the direction of guest conductor Marco Parisotto on Saturday, February 13 at 8pm and Sunday, February 14 at 3pm at Martin Woldson Theater at The Fox. Tchaikovsky named his gripping tone poem, Francesca da Rimini, for a character in Dante's Inferno. Sibelius also mused on Dante's writings while composing his magnificent Symphony No. 2. Also on the playlist is 'Aqua' by one of Canada's leading composers Vivian Fung. Both performances are preceded by a pre-concert talk one hour before curtain time. The lecture is free to all ticket holders. Tickets available at the Box Office, or 509-624-1200, or at www.ticketswest.com or 800-325-SEAT. A Vino and Chocolate Gala will be held at Avenue West Gallery, 907 W Boone, Suite B, this Friday, February 12 from 6-9pm. Cost is $10 per person. Space is limited, reservations required. Brett & Janet Dodd are musical guest performers. 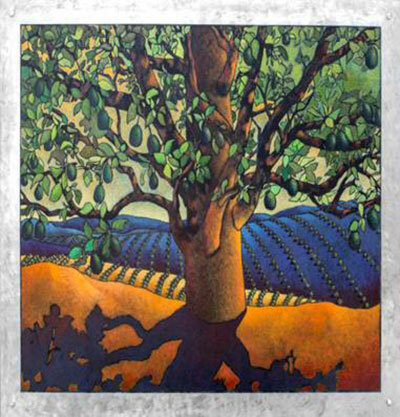 For more information, visit www.avenuewestgallery.org. 'King of the Cowboys - Riders In The Sky Salute Roy Rogers' is a 90-minute multi-media romp featuring audience-friendly favorites from Roy's long career that include 'Don't Fence Me In,' 'Pecos Bill,' 'Happy Trails' and more, all appearing on the Riders' latest album saluting Roy Rogers, and wrapped up in Riders' two-time Grammy-winning high yodeling style. Film clips of Roy's greatest moments on screen with Trigger, Dale Evans and the Sons of the Pioneers are featured, as well as a film montage tribute to 'The Greatest Sidekick of 'Em All: Gabby Hayes!' Ticketswest has your seats at www.ticketswest.com or 800-325-SEAT. Get ready to experience the biggest Inlander Restaurant Week ever, with a record-setting 100+ participating restaurants throughout Spokane, Spokane Valley, Liberty Lake, Post Falls and Coeur d'Alene. Restaurant week runs from Friday, February 26 through Sunday, March 6. Each of the 104 Restaurant Week participants will offer three-course meals at a pre-set price of either $19 or $29. Diners can choose from the prix fixe Inlander Restaurant Week menu or order anything from a restaurant's traditional menu. 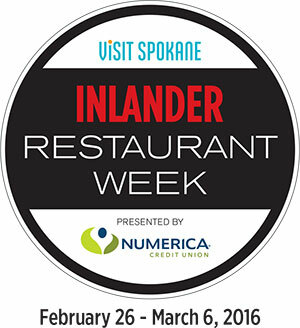 Inlander Restaurant Week began in 2013, as a joint venture between Visit Spokane and The Inlander, with the intention of show-casing the region's burgeoning culinary scene, attracting visitors and serving as a stimulus for restaurants at one of the slower times of the year. In its first year, Restaurant Week had 53 participants, and has now nearly doubled in size in only four years. For more information, and to see a complete listing of menus, visit InlanderRestaurantWeek.com. 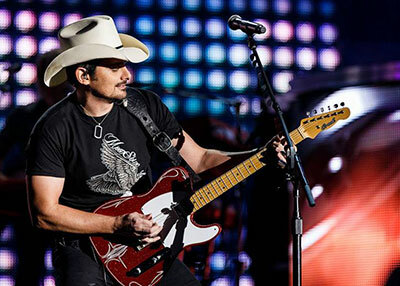 Country music superstar Brad Paisley is bringing his 'Crushin' It World Tour' to the Spokane Veterans Memorial Arena this Friday, February 12 at 7:30. Spokane Valley Partners Presents the Mardi Gras Masquerade Ball at the Mirabeau Park Hotel, 1100 N Sullivan Rd in Spokane Valley this Saturday, February 13. Dance the night away to Zydeco DJ Music. Room packages available starting at $169, which includes two dinner and party tickets to the masquerade ball. Separate dinner tickets are $50, Party tickets only, $20. For Reservations, call 509-924-9000 or visit www.mirabeauparkhotel.com. Don't miss this year's Recordings & Videos sale, benefitting KPBX Public Radio. The sale will be Saturday, February 20 and Sunday, February 21 at the Lincoln Center, 1316 N Lincoln. Thousands of records, CDs, DVDs and videos in dozens of genres will be available for purchase. Equipment silent auctions take place both days. Live music is featured from 1-3 pm. On Saturday it's Maxie Ray Mills; Sunday performers are the Two-Bit Jug Band. All proceeds will go to programming on KPBX, KSFC, and KPBZ. Sale hours are 9am-5pm on Saturday and 11am-5pm on Sunday. Visit Spokanepublicradio.org. 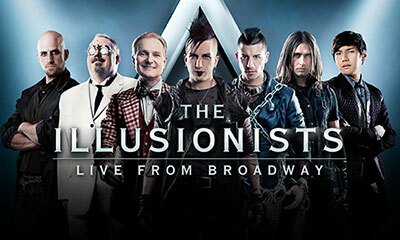 Having shattered box office records around the world, 'The Illusionists LIVE from Broadway' is now coming to captivate Spokane at the INB Performing Arts Center, this Saturday night, February 13 at 5:30 and 8:30 pm, and Sunday, February 14 at 1. This mind-blowing spectacular showcases the jaw-dropping talents of five of the most incredible illusionists on earth. This month, through March 5, The Art Spirit Gallery at 415 Sherman in downtown Coeur d'Alene, features vibrant acrylic paintings on aluminum by Idaho artist Jerri Lisk. The opening reception is this Friday, February 12 from 5 to 8pm. Go to theartspiritgallery.com for more information. Celebrate Hollywood's biggest night at the Spokane AIDS Network's 18th Annual Red Ribbon Gala, a black-tie evening featuring the live Academy Awards telecast and auctions. It's Sunday, February 28, 5pm, at Overbluff Cellars inside the historic Washington Cracker Company Building, 304 W. Pacific. 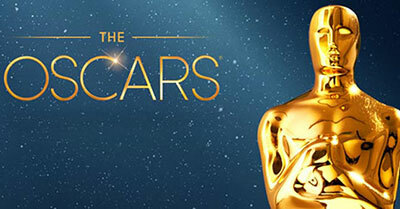 Go to oscarnightgala.org for tickets and information. Paul Manoguerra, director and curator of Gonzaga University's Jundt Art Museum, will discuss the museum now marking its 20th anniversary in a free lecture at 10:30am, Tuesday, February 23 in the McCarthey Athletic Center Herak Club. Presented by the Greater Gonzaga Guild, the event is open to the public. Need a new idea to celebrate Valentine's Day this year? How about a romantic Valentine's Day Gala hosted by the Southside Senior & Community Center. 'Sweethearts Forever' will feature a renewal of vows ceremony with certificates, flowers and photos for participating couples. The afternoon also includes a tea dance with live music by Variety Pak, a favorite local dance band, Champagne toasts, appetizers, dessert and a no-host bar. This all takes place this Valentine's Day, Sunday, February 14 from 2-4:30 pm. Tickets: $30 per couple; $20 per individual; 12 and under free. Call 509-535-0803, seating is limited. Southside Senior & Community Center is located at 3151 East 27th Ave., at the corner of Ray and 27th on Spokane's South Hill.